Blepharoplasty or eyelid surgery in Washington, DC " Zero Down and zero interest financing and In House No Credit Check Payment Plans available"
AGING AND HANGING SKIN FROM EYELIDS REMOVED PERMANENTLY. GUARANTEED! ALL OF OUR SURGERIES ARE PERFOMED UNDER LOCAL ANESTHESIA WITH MINIMAL SIDE EFFECTS AND LITTLE DOWN TIME. Blepharoplasty or eyelid surgery, also known as cosmetic eyelid surgery is a surgical procedure that rejuvenates the eyelids. It can be performed on the upper eyelids, lower eyelids, or both. This is perhaps the area in cosmetic surgery that requires the surgeon to be the most “ultra conservative.” Aggressive surgery in the eye can leave the patient with irreversible changes that may severely affect the function and the aesthetics of the eye. Dr. Araya customizes the Blepharoplasty or eyelid surgery in Washington dc surgical clinic for each individual. He avoids removal of too much fat to avoid the “sunken eye” look. On certain patients he uses fat to fill the tear trough and smooth the eyelid-cheek junction. He is meticulous and conservative so that the shape of your eyelids will never change. The upper eyelid begins to show evidence of aging almost before any other facial feature. Excessive skin redundancy is first seen as it crowds and hides the crease of the upper eyelid . In the area near the nose, a small amount of fat often bulges out. When evaluating the upper eyelid, it is important to differentiate between the aging upper eyelid and descent of the eyebrow. The lower eyelid may age in one of two ways. There may be premature eyelid aging, which is hereditary. People with this hereditary condition begin to demonstrate lower eyelid “bags” during the late twenties and early thirties. Most people, however, begin to show signs of eyelid aging in their early forties. As the lower eyelid ages, the fat that surrounds the eye begins to accumulate under the eye and develop the “bags” that are visible. The skin also begins with age and develops wrinkles. The eyelid muscle can descend and give the eyelid a droopy look. As the malar fat (cheek fat) pad descends, a loss of volume can develop between the lower eyelid and the cheek. This creates a line that sharply demarcates the lower eyelid from the cheek. The purpose of the upper Blepharoplasty or eyelid surgery is to remove the redundant skin that overhangs the upper eyelid crease. The procedure is performed through an incision that is placed at the eyelid crease, so that it is completely hidden. The skin is marked carefully before surgery to ensure that the exact amount of skin is removed. The skin is removed and then a small amount of fat is removed in the medial area (next to the nose). The incision is then closed with a tiny continuous stitch that is placed inside the skin to ensure that the incision heals well and is virtually invisible. The stitch is then removed on post-operative day five. The Blepharoplasty or eyelid surgery scar will not be visible once it completely heals. The goal of the lower Blepharoplasty or eyelid surgery is to provide a smooth lower eyelid contour that blends with the cheek. This is done by removing the fat that protrudes underneath the eye, removing some of the excess skin, and then elevating and repositioning the eyelid muscle. This must be done in a manner that will maintain the patient’s natural eyelid shape and avoid any malposition. Malposition is the name given to describe the change in the lower eyelid position that can occur from a poorly performed Blepharoplasty or eyelid surgery. The lower eyelid Blepharoplasty or eyelid surgery can be performed via two different methodsin our Washington dc surgical clinic. The skin muscle flap technique is performed through an incision just underneath the eyelashes. The skin and muscle are elevated to reach the fat pockets. The fat pockets are then removed. The amount removed must be just the right amount. If too much is removed, the eye may appear hollow after surgery. If too little is removed, then bulges will still be visible after surgery. After the fat is removed, I tighten the eyelid muscle. This allows the contour of the eyelid to blend with the cheek. It also tightens the eyelid to prevent any eyelid malposition. The incision is then closed with tiny continuous stitch. This is my preferred technique for most patients that have lower eyelid aging. The technique allows me to remove the excess fat and tighten the eyelid muscle. The combination of these two rejuvenates the lower eyelid and cheek complex. The second technique is the trans-conjunctival technique. I prefer to use this technique for young patients that need little to no skin removal or patients with very prominent eyes. The trans-conjunctival technique involves an incision inside the eye to access the fat. The fat is then removed and a small pinch of skin may be removed, if necessary, from underneath the eyelashes. Am I a Candidate for Blepharoplasty or eyelid surgery? The ideal patient for an upper eyelid Blepharoplasty or eyelid surgeryin Washington dc surgical clinicis a woman or man that has begun to show the signs of upper eyelid aging. Typically, the excess upper eyelid skin hangs or “hoods” over the eyelid. The ideal patient for a lower eyelid Blepharoplasty or eyelid surgery is one who has developed lower eye lid “bags” and/or has significant wrinkling of the lower lid skin. Patients with these physical characteristics often report having a “tired” look. Many of these patients may also demonstrate a deep tear trough and hollowing of the eyelid-cheek junction. This hollowing is often treated at the same time as the eyelid surgery with fat transfer or other fillers. Patients can undergo surgery of the upper, lower or both the upper and lower eyelids at the same time. This provides excellent rejuvenation of the eyelid and cheek area, giving the patient a very rested appearance. What is the Consultation for a Blepharoplasty or eyelid surgery like? I begin the free consultation with a frank discussion about the specific issues and concerns that the patient has. I want to know whether the eyelid aged from early on, has it recently aged, or has the aging been progressing for a long time. Any ocular diseases, including symptoms of dry eye, must be discussed. I then perform a thorough facial and eyelid physical examination. The upper eyelid is examined for skin redundancy. The brow position is also examined. A brow that has descended may mimic upper eyelid redundancy. This is important, as performing an upper Blepharoplasty or eyelid surgery on a normal upper eyelid with a low brow, can essentially pull the brow even lower. Patients with a low brow should be counseled about a brow lift. The lower eyelid is then examined. The amount of fat herniation is examined as well as the strength of the lower eyelid. Weak lower eyelids may require an additional lid tightening procedure. The position of the eye in relationship to the bony rim is then examined to help determine the technique that should be used for the surgery. The patient and I then have a discussion about the result that I believe can be achieved with surgery. The patient should understand exactly what the Blepharoplasty or eyelid surgery procedure will achieve for them, so that an informed decision can be made. The procedure is explained in detail and all questions are answered in our Washington, dc office. How Much Does a Blepharoplasty or eyelid surgery Cost? The cost of the Blepharoplasty or eyelid surgery operation in Washington, dc can vary from doctor to doctor, from patient to patient, and from city to city. The cost of the upper Blepharoplasty or eyelid surgery with Dr. Araya ranges from $1495-2500, and includes operating room fees and all follow ups. This procedure is performed using local anesthesia with minimal side effects. How do I Prepare for the Blepharoplasty or eyelid surgery in Washington dc surgical clinic ? Dr. Araya requires that all patients obtain pre-operative labs. Some patients may require medical clearance. The patient should stop taking any anti-inflammatory medications (such as aspirin, ibuprofen), vitamin A, and St. John’s wart ten days before the surgery. These medications can affect blood clotting and may cause excessive bleeding or bruising. Patients should avoid alcohol five days before surgery to avoid swelling. Patients are required to start high dose vitamin C two weeks before and two weeks after to help with the healing and to reduce bruising. What Type of Anesthesia is used for the Blepharoplasty or eyelid surgery? The Blepharoplasty or eyelid surgery procedure can be performed under different anesthesia modalities, depending on the patient the adjunctive procedures being performed. If the patient is having the upper Blepharoplasty or eyelid surgery operation alone, it is my preference to do this with local anesthesia and a light oral sedation. It can also be performed with IV sedation anesthesia if the patient prefers in our Washington, dc offices. If the patient is having either the lower eyelid surgery or the upper and lower eyelid surgery, my preference is IV sedation anesthesia. If the patient is having the eyelid surgery in combination with facelift or other procedure, then either IV sedation or general anesthesia may be required. I perform the Blepharoplasty or eyelid surgery in vita surgical’s Washington, DC state of the art surgical suite. Because I believe that patients recover best outside of a medical environment, they are allowed to return home or to their hotel room the same day after they recover. What are the Risks with Blepharoplasty or eyelid surgery? The surgical risks associated with a Blepharoplasty or eyelid surgery are rare. The risk of a hematoma, or collection of blood under the skin, is about one percent. If this occurs, it can be drained in the office under local anesthesia. Chemosis, or swelling of the inner lining of the eyelid, also rare, occurs less than 1% of the time. If it does occur, it is easily treated with steroid drops and lubricating eye drops and usually resolves in a week or so. Occasionally millia, or small cysts, may form on the incision. If these occur, they can easily be removed under local anesthesia in the office. Infections are extremely rare in the eyelids. What are the Blepharoplasty or eyelid surgeries Complications? When a skilled cosmetic surgeon, with experience in surgical ophthalmology like Dr. Araya, who routinely performs eyelid surgery, performs the Blepharoplasty or eyelid surgery in Washington dc surgical clinic, the rate of complications is very low. 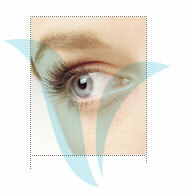 During eyelid surgery, it is extremely important to be conservative. The surgeon may sometimes be faced with a decision during the surgery… should he take more skin or fat or leave it behind? Because the margin for error is very small in the eyelids, I believe it is always better to take less than more. The rate of complications for eyelid surgery in Dr.Araya’s hands is zero. What can happen if the surgeon is aggressive and takes too much skin in the upper eyelid during the Blepharoplasty or eyelid surgery? The patient will have difficulty closing the eyes. This can lead to dry eye and a lifetime of wetting eye drops. These types of complications are common with general plastic surgeons with no ophthalmology backgrounds. What can happen if the surgeon takes too much skin in the lower eyelid during the Blepharoplasty or eyelid surgery? The patient can have malposition, where the lateral corner of the eyelid becomes round. The natural shape of the eye is lost. The eyes in these patients appear large and round. If a very excessive amount of skin is removed, the lower eyelid can actually retract downward. This gives a very unsightly appearance and will cause dry eye. The patient will have to use wetting eye drops for a lifetime. It is extremely difficult to correct this surgically. What if too much fat is removed from the lower eyelid? The lower eyelid will look hollow and skeletonized. It is difficult to completely restore the volume, but with a combination of fat transfer and fillers, normalcy can be achieved. What is the Recovery after a Blepharoplasty or eyelid surgery like? The patient is discharged home the same day after the Blepharoplasty or eyelid surgery from our Washington, dc office. The first night should be spent quiet and relaxed. It is best to keep a liquid diet for the first twelve hours. The patient should keep the head elevated with two pillows. Small zip-lock bags filled with peas should be placed on the eyes for 10 minutes at a time for the first two days. Most patients that undergo a Blepharoplasty or eyelid surgery do not have any pain. Tylenol is usually enough to control any minor discomfort that may be present. Dr. Araya will provide you with additional pain medication, just in case the patient needs it. Dr. Araya should be made aware of any significant pain, as this may signal bleeding under the skin. Some mild bruising may be visible around the eyes. Dr. Araya will see you on the second day and the fifth day after the surgery. The tiny stitches will be removed on that day. Patients can usually wash their eyes after the visit. They can also wear makeup if they wish. What is the Recovery Time for a Blepharoplasty or eyelid surgery? Most patients can return to work on the second day after surgery with shades. Most can go back to work without shades within 3-4 days. The patient may resume exercise 1-2 weeks after the Blepharoplasty or eyelid surgery. The remainder of the swelling can take eight to twelve weeks to completely resolve. This last bit of swelling is remaining swelling is imperceptible. The final results of the Blepharoplasty or eyelid surgery may not be completely evident until two to three months after the surgery. The results of a Blepharoplasty or eyelid surgery operation usually turn back the clock approximately five to seven years. Most patients who undergo the Blepharoplasty or eyelid surgery operation are extremely happy with the results.